How to Treat Scar Tissue? Scars are not bad things- they are simply the body’s response to injury and to heal you-which is a good thing. Some we wear like a badge of honor, while others we would rather hide. From a cosmetic standpoint, I try not to fret too much, but every now and again I end up with something I’d just rather not have lingering around -and that’s when I bust out the scar butter. This is an extremely simple butter that works well to soften up the tough fibers of the scar tissue. It’s easy to make, lovely to use, and effective. Why Need Beeswax to Treat Scar Tissue? Why Need Shea Butter to Treat Scar Tissue? Shea butter (Butyrispermum parkii) makes an excellent moisturizer, and has the benefit – among many others- of containing oleic acid, which enhances the ability to penetrate skin. It is an occlusive emollient-which means it traps water in the skin in addition to the softness and suppleness it brings. It is obtained by waiting years (typically around 15-20) for the Karite tree in West Africa to bear good quality fruit for harvesting. The fruits from the nut are picked, cracked, grilled, and then pounded or milled. Afterwards they are boiled in water to extract the shea butter, which is scooped out and left to cool. Because the trees are so precious, make sure that you get high quality raw shea from a sustainable source. Why Need Avocado oil to Treat Scar Tissue? Avocado oil (Persea gratissima) is a star here. It is extremely nourishing, but it’s not magic, like many claim it to be. That said, it is pretty neat. Skin absorbs avocado somewhat slowly. That means while it gets warmed to body temperature, there’s a bit of that oily residue on the skin (this is fine, by the way, since it gives you a chance to helpfully massage the butter into the scar a bit.) There are many claims out there that avocado oil penetrates deeper into the skin, due to the way its components are structured. On the flip side there is research that shows that it does appear in the upper layers of the stratum corneum (the tougher outer layers of our skin) but not any deeper than that. If that’s the case, it’s still definitely protective. It’s an occlusive, forming a protective film and lowering the transepidermal water loss (basically the water that passes from your inside to your outside via the skin, or simply, a loss of moisture) so this is greatly beneficial for keeping the scar tissue moisturized. Any way you spin it, I’ve found it to be an incredibly useful addition to this butter. Why Need Tamanu oil to Treat Scar Tissue? Tamanu oil is extracted from the fruit of a tree found originally in Polynesia. It consists of (roughly) 38% linoleic acid, 34% oleic acid, 13% stearic acid, and 12% palmitic acid. So basically all of our favorite fatty acids, which makes it an extraordinary oil when it comes to healing skin, especially scarring. It is deeply penetrating (thanks oleic!) and moisturizing, and also acts as an anti-inflammatory, which can help with any swelling up or irritation you may have on or around the scar. Set up a double boiler and melt the beeswax. You can play around with the amount of beeswax you like – more yields a firmer butter, while less results in a softer one. Then add in the avocado oil and the tamanu oil. Finally, remove from the heat and stir in the shea butter until it is melted. Be sure to add the shea butter last and after you have taken it off the heat as it is more sensitive to heat than other carriers. Pour into your jar and allow it to cool. Keep in a cool, dark place out of direct sunlight. Up to three times daily, work a generous amount of the butter into the scar, massaging gently as you go, until most of the butter is absorbed. When can I use this to treat scar tissue? Does the massaging work to treat scar tissue? Watch this Video – HOW I HEALED MY ACNE SCARS NATURALLY! How to Make a Homemade Lip Balm? 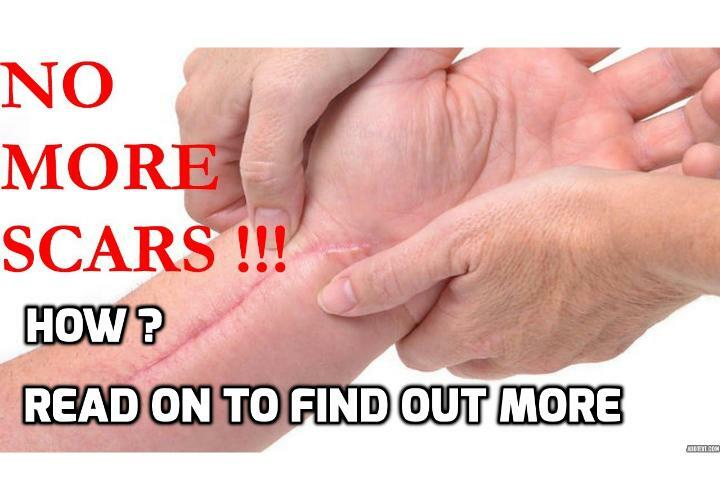 Previous PostPrevious Scar Treatment Home Remedies – How Best to Reduce Scar Visibility? Next PostNext How to Reverse Your Type 2 Diabetes ?